IMAGINE if there's a place where you can step onto the clouds. Yeah, step onto, which means your legs stepping on the clouds. You're not flying, because it's not about you fly to the sky with your imagine wings and meet the clouds, but it's about the clouds that visit the earth. 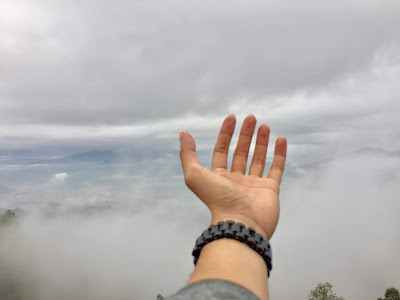 It's about 'negri diatas awan', or in english it will be: state above the clouds. 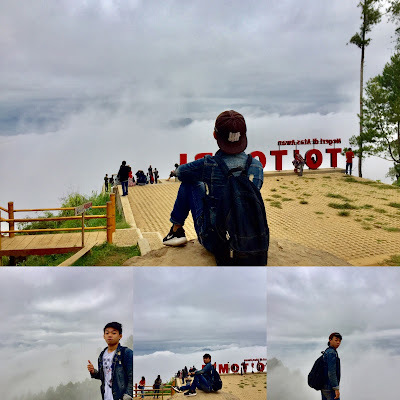 Negri diatas awan is one of Toraja tourist sites which located in Lolai Village, North Toraja. Not really far from Rantepao, maybe only 15 km. 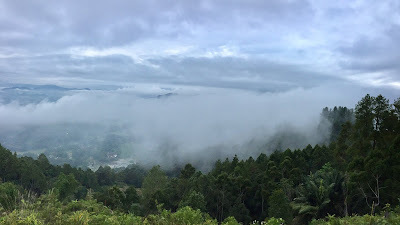 Negri diatas awan offers the tourist an unique experience to step onto the clouds. Because just like its name, this tourist site located in the highlands, even higher than the clouds. But it doesn't mean you can easily feel the clouds there, because it's also about our luck. Sometimes when we aren't lucky enough, we could just met the mists, not the clouds. 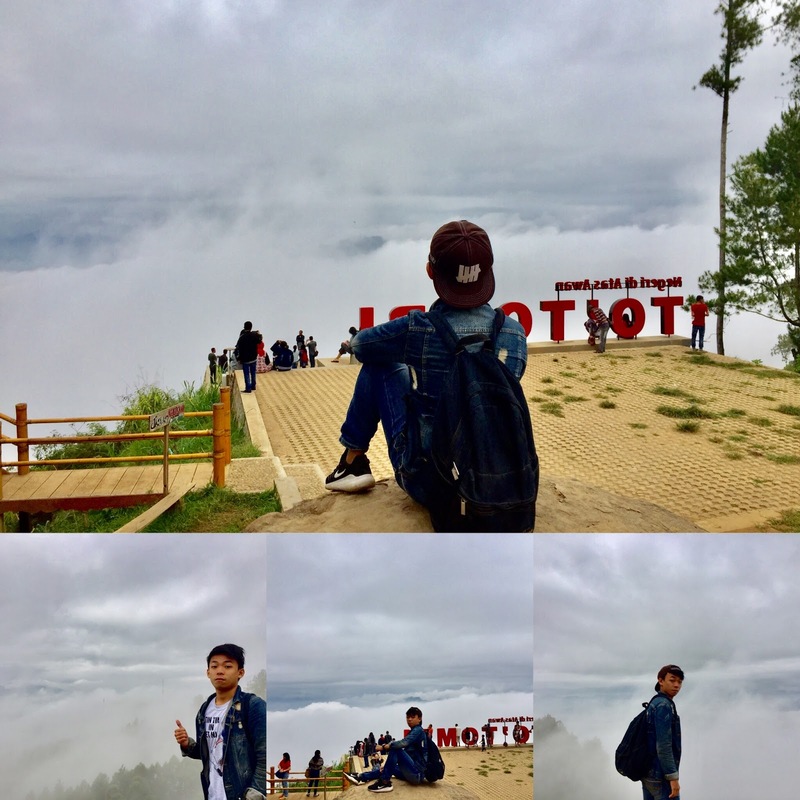 I went to Negri Diatas Awan on my last day in Toraja. It was around 5 am when I started my journey to Negri Diatas Awan, with the motorcycle and of course with my tour guide. Toraja's highland, on the way at 5 am, It was pretty cold back then. It was an uphill journey, with the dark views of forest trees. It was around 6 am when we arrived at the second post of of negri diatas awan, it was dark and still cloudless sky. We went to an ordinary small store there, drank coffee, and wait for the clouds. So there were 2 posts, the first post was managed by the government meanwhile the second just pure managed by local people. The thing is, if we're lucky enough, we could interact with the clouds by step onto it. But it depends on the day and our luck. When I arrived there, it looked like I wasn't lucky enough. I waited for clouds for an hour and they weren't come to the earth. What a bitchy clouds. Rather than just waiting in the same post while there are 2 posts there, we decided to went to another post: the goverment's. The clouds weren't really came to the earth too there, but at least it wasn't cloudless as the 2nd post. State above the clouds on that day became state above the mists for me. Every tourists got amazed with those mists because they think there were clouds, but lucky me my tour guide told me if there were just mists. Ah, it's hard to catched some clouds here. My tour guide told me that since there were some projects of development for tourism, the coulds came less often than before. The clouds come if there are some winds which pushed them to the mainland. But kind of unlucky me, there were no that kind of wind back then. But I didn't give up so easily, my tour guide and I waited for another hour. We waited at Tongkongan near there while discussing some hard issues such as politic and tourism in Toraja. Toraja was really fun for me. I mean, Toraja is really beautiful but the thing is the transportation or the access to get here hasn't yet optimized. If there are some flights that fly directly to Toraja from some Big Cities in Indonesia such as Jakarta, Surabaya, Semarang, Medan, Bali, etc, Toraja could be very promising. But unfortunately there were some flights to Toraja but it was only avaliable from Makassar which took only 45 minutes and.... there just gone. The subsidies for those flights were revoked. So we back to when I began, a flight to Makassar, 8 hours Bus from Makassar to Toraja. 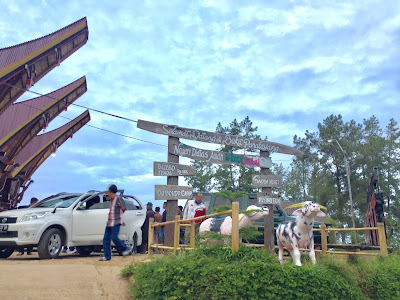 Or, if you want, you can use car or motorcycle from Makassar to Toraja within more than 300 km away. It was around 8 am when the clouds began to look beautiful. Although they weren't came to the mainland like I hoped, but the view was beautiful. It was a really state above the clouds. 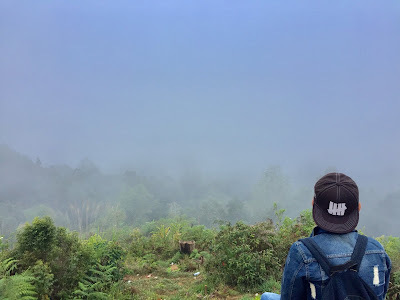 Even if it took a long time, but I was happy enough to felt the real essence of Negri Diatas Awan. At least there weren't just mists, but also the clouds. It looked like there were some tourists from Jakarta too, yeah, caught from their accents and their photo hunting activities. 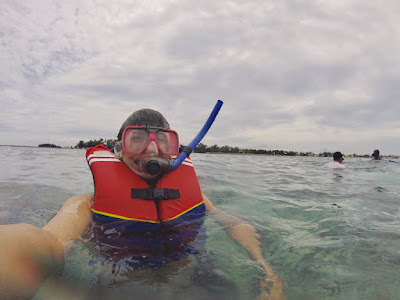 But the award for the most distrubing tourist must be given to every 'emak-emak' there. Emak-emak there were just so....noisy. Let me demonstrate one of the emak-emak ways at that day to y'all. First they were allied in one group, and then they took group photo many times with the same style which was just smiling to the camera. And when the last take, one of the youngest emak-emak there started to shouted: "Mami, gaya chibi-chibi dong, iya chibi-chibi." and she folded her hands and her face forward just like one of Indonesian girldbands named cherybelle typical style. Damn it. It was around 8.30 am when we left negri diatas awan. It was rain, so I decided to went back to the hotel and soon after the rain stop.. coffee shop, some souvernirs, and 'random but near' destinations could be very fun for my last day. But just take it to another story. Very good story and amazing the view! Did you know emak-emak always being noisy right? It is netral in indonesia hahaha. What an amazing trip, thanks for sharing.